Side sea view room with balcony, private bathroom,laminated flooring, air condition, safe box, television, hairdryer, fridge, kettle, Wi-Fi. 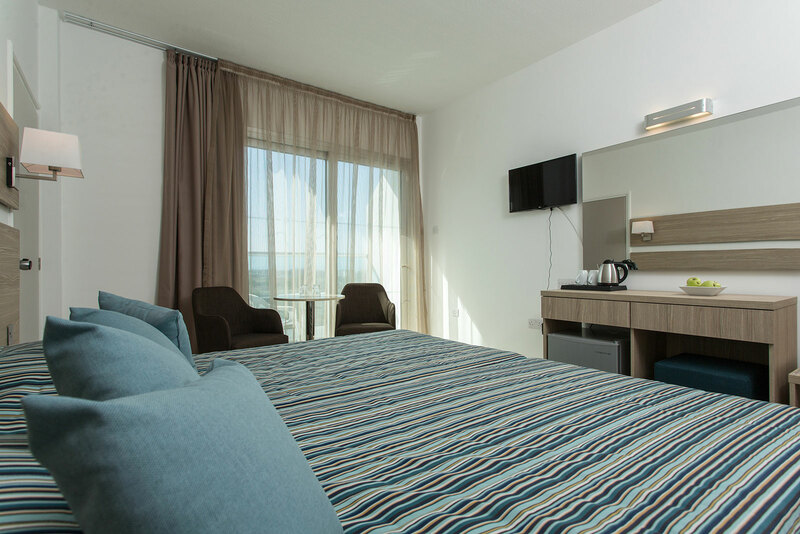 Rooms can accommodate maximum two - three adults. Two adults and one Child can be accommodated. In all Rooms with Children, Bed is a fold-away bed. Double bed is on request. Rooms with interconnecting doors are available on request. Side sea view room with balcony, slightly larger bedroom, larger bathroom than standard rooms with laminated flooring, air condition, safe box, television, hairdryer, fridge, kettle, Wi-Fi. 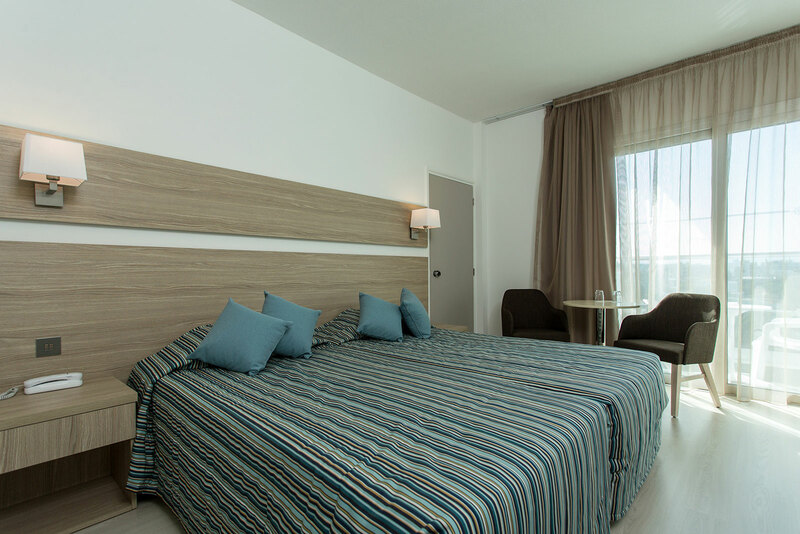 Rooms can accommodate maximum two-three adults. Two adults and two children can be accommodated but is not recommended. In all Rooms with Children, Beds are fold-away beds. Double bed is on request. Side sea view rooms ideal for families, with parent's bedroom with private toilette only. A separate seating room ideal for people who want to have their space.Bathroom and toilet. Both rooms with laminate flooring and joint balcony, small kitchen area. Air - condition, safe box, television, hairdryer, fridge, kettle, Wi-Fi in all rooms. 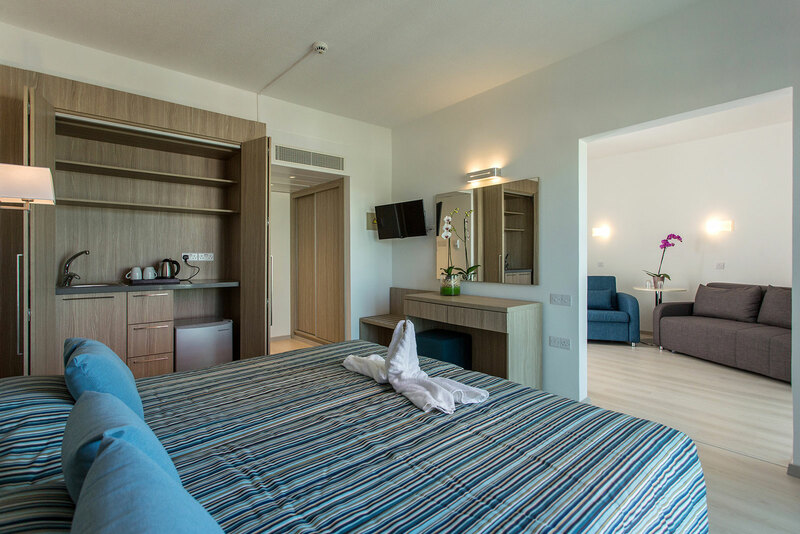 Rooms can accommodate maximum three adults. Two adults in the main bedroom and two children in the seating room can be accommodated with single and double foldable sofa beds. One Bedroom Apartment twin bedded and a separate seating room ideal for all and specially for families. Balcony, private bathroom, air condition,safe box, television, hairdryer, fridge, kettle, Wifi. 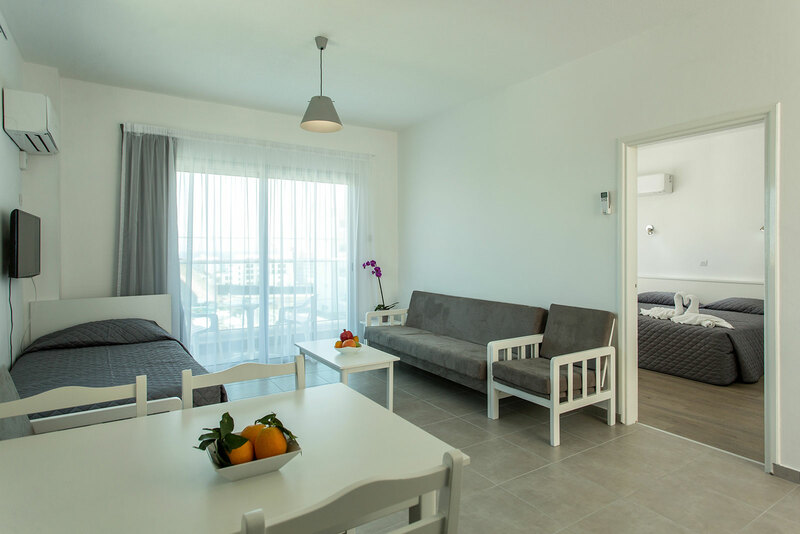 Apartment is also equipped with self-catering facilities such as two electric cooking rings,kitchen utensils.One Bedroom Apartment can accommodate maximum four adults.Two adults and three Children can be accommodated but is not recommended. 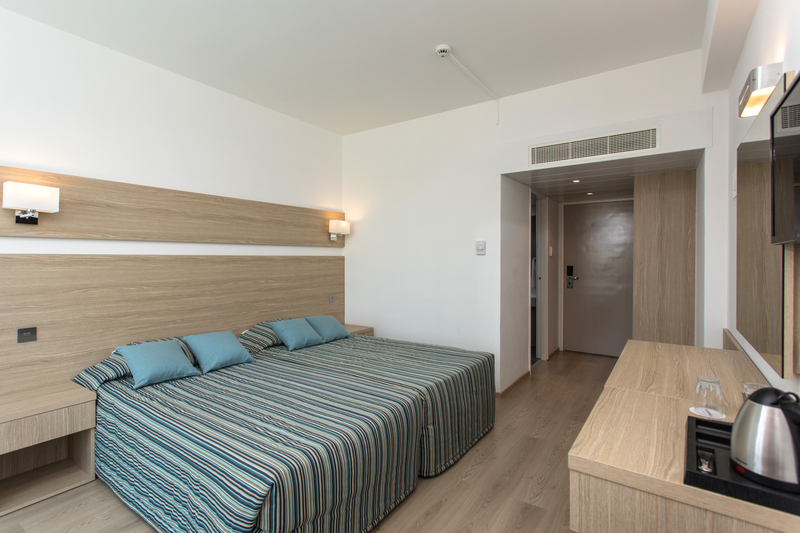 In all one bedroom apartments with Children, Beds are one Sofa Bed and two foldable extra Beds.Double beds are not available in this building. All guests staying in these rooms can enjoy all facilities and amenities of the Hotel such as: Meals, swimming pool, bars, etc.